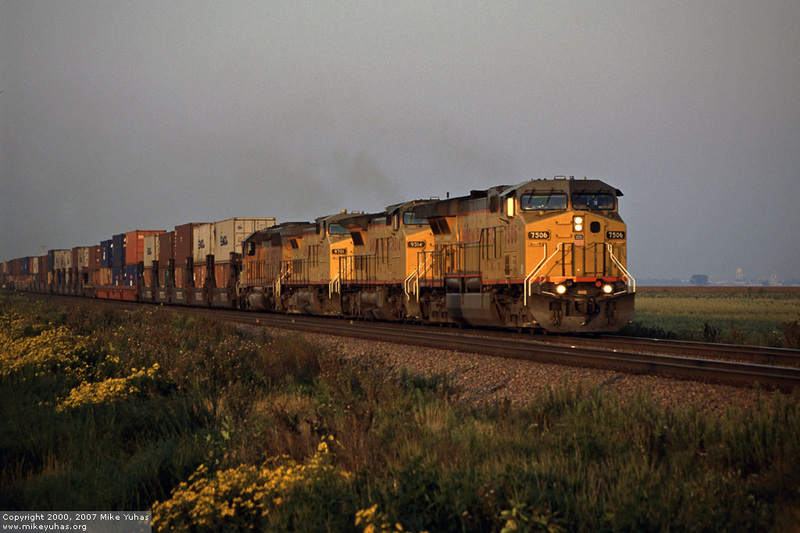 Heading off into the sunset, this UP doublestack train closed out a good day of shooting. We're near Rochelle in the fleeting moments of sunlight. AC6000CW 7506 is in the lead.